Aaram Baagh, Udaipur offers an extraordinary wedding destination in Udaipur, amidst the lush greenery and majestic mountains. For the big moments our wedding planners will arrange everything from wedding heritage resort & lawn setting to any requirement to meet your vision . The Aaram baagh wedding vanue is divided into different gardens which offers a peace of mind in the unique gardens namely, Palm Garden and many more. Aaram Baagh organizes Mock Indian style heritage weddings and an ultimate experience for you which are unforgettable sensations for life time. 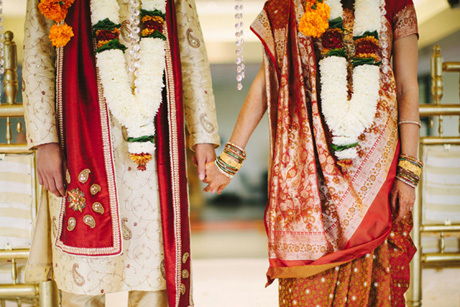 There is royal and ethnic way to experience the magic of mock wedding with all customary traditional attires and cultural activities with delights of Indian meals etc. Udaipur is very popular for celebrating the wedding destination in Udaipur because there is a lack of views of lakes and royal residences here, Udaipur which is a destination wedding for the most delightful place. From royal palaces and forts to luxury hotels and value hotels, this city of lakes offers a lot of space options, and gives you a royal wedding experience, like you dream. Apart from this, the royal charm and grandeur of wedding places in Udaipur proves to be the perfect backdrop for your wedding photos! Udaipur is well connected to the international airports of Delhi and Mumbai, and is located in close proximity to Gujarat. The presence and availability of buses, trains, and daily flights combines the convenience and is one of the main concerns of your destination marriage. Aaram Mahal is best Heritage wedding resort in Udaipur that comes to everybody mind, the moment you say Udaipur. This Place is very famous because there are no any doubts about it being one of the best wedding places in Udaipur. While this best hotel doesn't organize the main day event, it lets you have your pre and post wedding ceremonies here. Udaipur is amongst the best Royal wedding destinations in Udaipur . If you want to celebrate your wedding in Udaipur then then visit Aaram Mahal Udaipur and enjoy of wedding venues. Here you can also celebrate Wedding Reception, Business Meeting, conference hall. We promise that you're your celebration will be memorable for your life. As we know that everybody want that their wedding celebration should be memorable. So if you want that wedding celebration is memorable and you are searching best wedding venue in Udaipur then consult with Pachar Group Of Hotels and and choose best wedding venues in Udaipur because of Udaipur, the city of lakes' is a picture-perfect background for Udaipur, which is a best wedding venue with high hills and beautiful lakes. Udaipur is considered one of the most romantic cities in the world and later also known as 'Venice of the East' and it is considered as the most sought after Wedding Destination in udaipur. 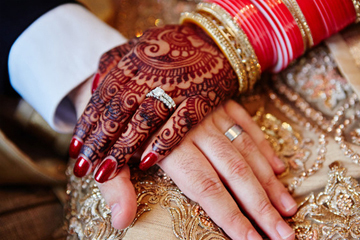 Udaipur is definitely a dream wedding destination for couples. Further this is one royal heritage wedding destination in India that has seen many celebrity couples tie the knot in a royal affair. From Bollywood stars to ministers and successful businessmen, celebrities etc have chosen Udaipur to celebrate their D-day in complete style. Long Banquettes hall & loan available at Aaram Baagh wedding destination Udaipur. Loan Facility also available at Aaram Baagh Udaipur. 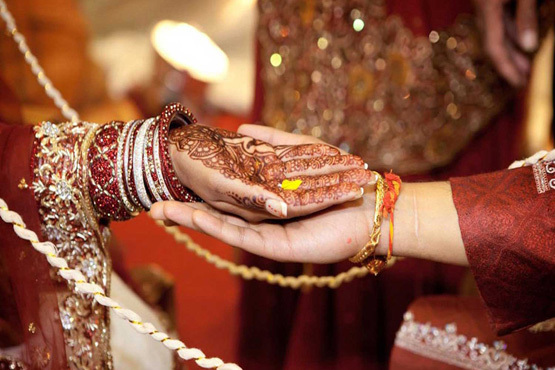 We provide loan service for your wedding purpose according to your requirements in this package so many facilities available like transportation services, Decoration Service, Photography services, etc. Long Banquets also available at Aaram Baagh and Banquet design as heritage building design in Aaram Baagh Udaipur. Its feels like traditional looks and heritage experience at your wedding. Aaram Baagh is the best wedding resorts in Udaipur and rooms and building design in heritage looks. Book now wedding Aaram Baagh Udaipur to enjoy memorable movements at your wedding. For More info contact us. 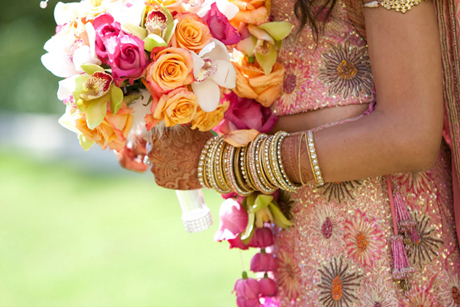 Udaipur is the hottest & heritage point for Destination Wedding these days. After Priyanka-Nicks wedding in Jodhpur, Udaipur is going to be the Pre-Wedding Party of Mukesh Ambani's daughter Isha Ambani. There are many such places in Rajasthan where celebrities have been coming from the country and abroad for a destination wedding. Together with two people, two families also get married. Everyone wants to make every wedding of their marriage memorable. The popularity of Destination Wedding is increasing day by day. We will tell you today about the best romantic places for Destination Wedding where the memories of the wedding will be very beautiful. If you want to get married in royal style then best from Udaipur and nothing else. Here you will find everything from the mansion to the Royal Place, everything will be rented. 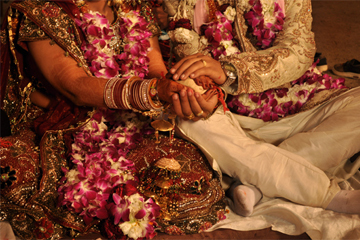 There are many wedding venues in Udaipur, Jaipur, and Bikaner. Apart from this, the Aaram Baagh Wedding Resort in Udaipur you can approach. Definitely, Udaipur is one of the most attractive places in Rajasthan. This makes Udaipur one of the best places on earth for weddings. You can get one of the most beautiful and breathtaking destination wedding ceremonies on the natural resort or in a private heritage villa, a 5-star resort or hotel. But whatever place you choose for your ceremony and reception, wedding decoration is one of the most important details. Although many other couples have had a wedding in Udaipur, their celebrations can actually stand above all others with a unique, personal, creative and memorable decoration. No matter what place you choose, can you really add flowers to the mix or enhance the overall experience with hanging lanterns. A dramatic flower arc can make your beach wedding rituals even more attractive. And when the time comes for the reception, it may be a pleasant surprise for your guests if you scatter petal petals on every night's dinner table. You can be creative when it comes to table decorations and add to the complex table center, exotic candles, and so on. It all depends on the style of marriage you prefer. Whatever the occasion, convocation, anniversary, promotion or birthday dinner it takes on an extra layer of glamour at Aaram Baagh Resort. We offer just the right space and planning assistance to make each and every event special and personalized to an extraordinary degree. If you are close to your wedding and you are looking at Udaipur for wedding venue, choose the Aaram bag Udaipur which is the perfect place for a wedding. This resort is a luxury conference, wedding, banquet and venue in Udaipur. Aaram Baagh Udaipur is very famous all over India for the destination wedding in Udaipur. Here you can also take part in the Banquet Hall Food and Beverage Product Launch Corporate Party Cocktail Dinner Brand Promotion, Family Function, Aqui celebration, Gate Together, Group Dining Music Festival, Adventure Party, Annual Fest Bridal Shower Wedding Anniversary. Excellent stay Calm and peaceful surroundings Beautiful location for wedding destination Good play area for kids Overall enjoyed wedding in Udaipur our stay at aaram baagh resort recommend to all. Aaram Bagh udaipur is best venue for Wedding destination and they offer wonderful support for the wedding décor. We really want to thank you from the core of our heart for making our Wedding memorable. Aaram bagh Udaipur is wonderful wedding resort in Udaipur. I am proud to do marriage in this resort. I was glad to see the management of this resort. It's a beautiful wedding resort in Udiapur which is perfect place for wedding and all the members of this resort have good behavior to greet people. We had wedding reception of my big bro at this resort. All team of this resort are Very cooperative staff. Management of this resort was superb. Thank you team for making our get together special.